PLEASE SEE UPDATE – This is NOT a Very MerryTime Sailing after all. Recently, Disney Cruise Line’s website started to show an extra Very MerryTime cruise aboard the Disney Fantasy on November 7th when guests logged into their reservation. Earlier today, a reader left a comment mentioning her reservation (screenshot below – thank you Kerri O) was now showing up as a Very MerryTime cruise. At time of publication, Disney Cruise Line’s website does not show this change continuing to list the 11/14 sailing as the first for the Disney Fantasy in 2015. However, I spoke with a reservation cast member at Disney Cruise Line who confirmed the November 7, 2015 Disney Fantasy cruise is now showing up as a Very MerryTime sailing, although the website has not been updated. I emailed Keri to see if anything changed overnight. She logged in from her phone and it didn’t say that it’s Very MerryTime, but on her computer it was still listed as Very MerryTime. Furthermore, there have been posts on the Facebook page for the cruise that are conflicting as well, some have called and got Yes’s and some have gotten No’s. I guess this could be an internal mixup so I’d make sure to check with your travel agent or DCL before booking this sailing if you want to sail on a Very MerryTime cruise to make sure no additional changes or fixes are made. Click here for a complete list of Very MerryTime Cruises. This entry was posted in News and tagged Disney Fantasy, Very Merrytime Cruises by Scott Sanders. Bookmark the permalink. I’m booked on a Dec. 23 Magic sailing out of Miami which is listed as part of merrytime cruise but my reservation makes no mention of it like you show in the screenshots..wonder why. Also our booking window opened last night for silver members and the planning center was completely down until 7 am in the morning…frustrating. I think it was some bug related to their website upgrade. What is the difference? What is Very Merry Time? Follow this link! Wonderful experience. 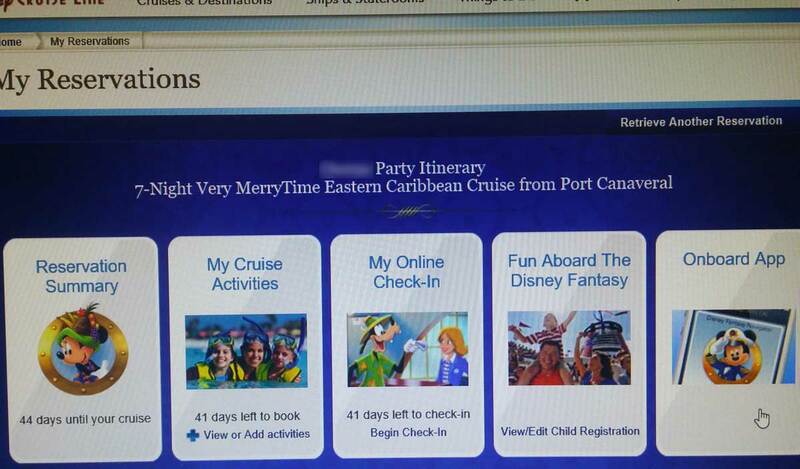 I’m on that cruise, but just checked the same screen above but it doesn’t reflect A Verry Merry Time cruise. Although been on 2 previously be nice if was another. I will check and see if the other person’s online account changed or if it still shows Very MerryTime. I’m on that cruise, too. 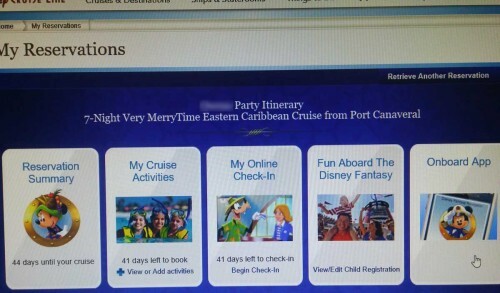 And it now says Very MerryTime on that screen shot, and also “My Cruises” page. I also noticed that when you search for the cruise on the website, it’s also listed as a Very Merrytime cruise. But I’ll believe it when we hear something official. It does seem strange that this only started showing up after their website update. Count me in the group anxiously awaiting official word on this one. We’ll be on this cruise in any case but we’d love it if end does end up being a Very MerryTime Cruise as we have yet to experience one. Our reservation on the website shows it as a regular cruise to this point. One thing that doesn’t add up to me is that there are a couple of shorter Very Merry Time cruises on the Magic and Dream that would be at Castaway Cay on Nov 11th and Nov 12th before this cruise arrives on the 13th. It would seem odd to be for Castaway Cay to be decorated for 11th and 12th, but not for the 13th….or for it to be decorated but it not to be a Very Merrytime Cruise. Aaron, Did you try calling DCL to ask specifically about your sailing? If you do ask them to look at the sailing details not the information on the website. I booked my cruise this morning with the headline Very Merrytime Cruise. When I called I was told it was a glitch. I was not happy at all. We went on Fantasy last year, the same week & it was their first Christmas cruise. It was not advertised as a Christmas cruise so it was a wonderful surprise. My husband pointed out that although Mickey is magical, he can’t turn the ship over to Christmas in 4 hours. Is it possible it’s a “soft opening, practice run”?? I’m really hoping this is the case!